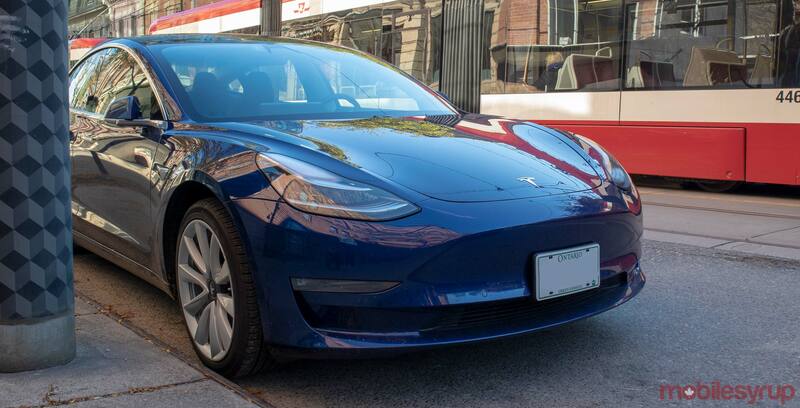 Anyone looking to buy the ‘Standard Range’ Model 3 will now have to do so at a Tesla store. Yes, these are the same stores that the EV company announced it was scaling back when it first started selling the low-cost Model 3. People looking to buy the $58,400 CAD ‘Long Range Rear-Wheel Drive’ trim option will also now need to visit a physical store to order one. Tesla is now watching another 20 percent of its stores and “depending on their effectiveness over the next few months, some will be closed and some will remain open,” the company told MobileSyrup in an email. Tesla is restructuring how it sells the Model 3 since the Standard Plus trim option has been selling on average six times more than the base model car. Notably, the Standard Plus’ price increased to $53,700. Tesla increased the prices on all the Model 3’s because the cars all include Autopilot standard. For reference, buying a Standard Plus Model 3 with Autopilot used to cost a total of $54,300. With its price now sitting at $53,700, Tesla has effectively saved drivers $600 if they were planning to add the semi-self-driving feature to their vehicle. It’s also worth noting that Tesla has scrapped building a separate version of the base trim Model 3. 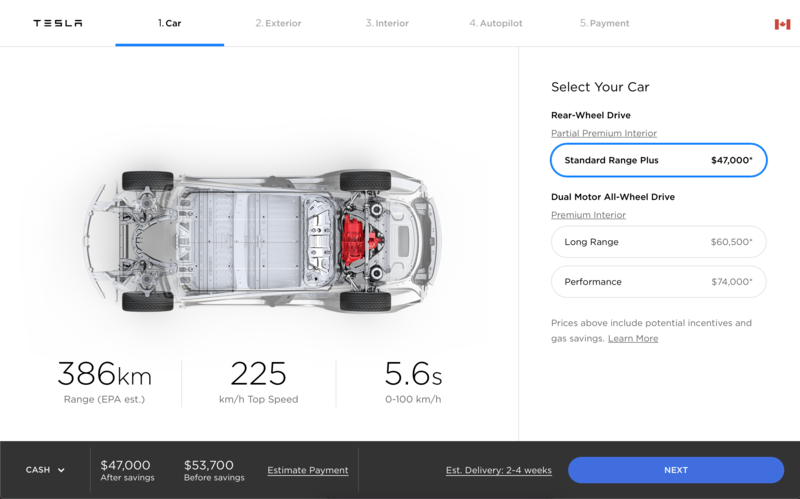 Going into a Tesla store and buying the Standard Range Model 3 now gets you a “software-limited version of the Standard Plus,” according to the company’s blog. This means that the car’s hardware is exactly the same Standard Plus, but it’s missing features like “onboard music streaming service, navigation with live traffic visualization, and heated seats.” The company is also limiting the car’s range by 10 percent. Anyone who buys this vehicle now has the option of paying an additional cost once they get their car to have these features unlocked. Moreover, anyone with a Standard Plus model can ask for a refund and have these features removed.